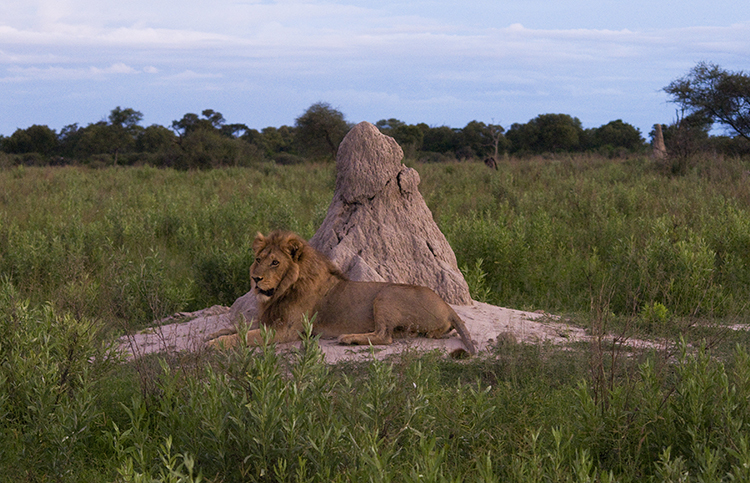 Termite mounds are everyplace. One provides a backdrop for the male lion and there are several above. You never see the termites – they live inside. 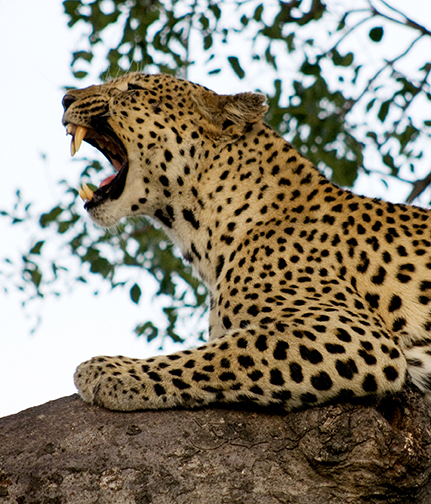 In Kruger Park in South Africa, we came across a beautiful, beautiful leopard. 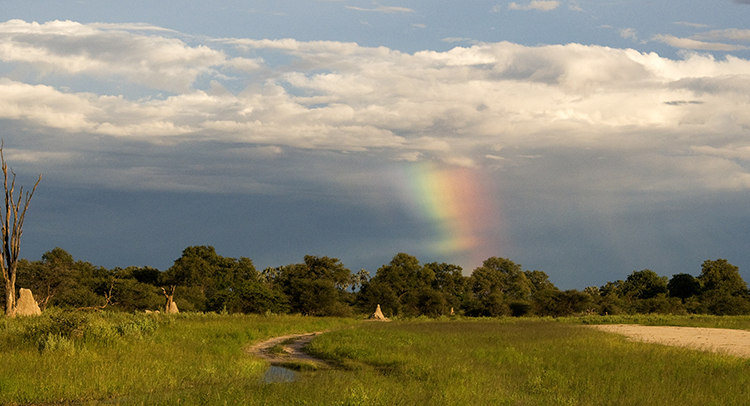 We traveled in the wet season and it was not really very easy to track the animals. In the dry season they are forced to gather at water holes – in the wet season water is plentiful and you have to search from them. We learned a great deal from the naturalists who met us in each camp. 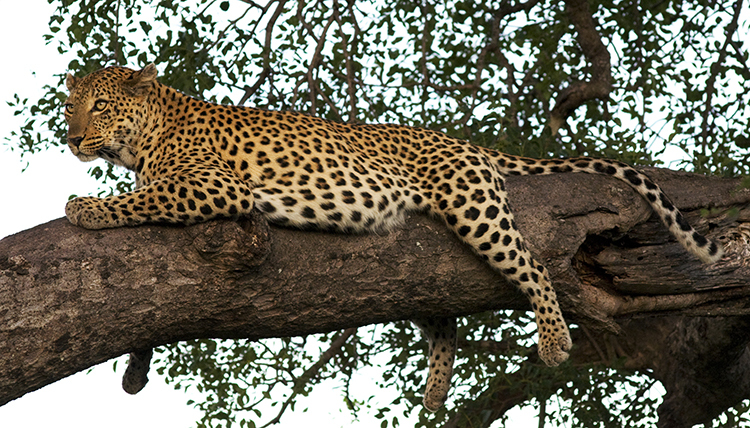 A few minutes later, the leopard didn’t seem so serene. Fantastic photos! The scenery is as spectacular as the wildlife.